Janie Hynson, RAFI’s Communications Specialist, had the opportunity to interview Russell Vollmer, owner of fifth generation family farm, Vollmer Farm. This is the third installment in our Farmer Leadership series, which profiles farmer leaders to give you a glimpse of what has served as inspiration for each of them to take the lead on agricultural issues. A fifth generation family farm founded in Bunn, NC in the 1930s, Vollmer Farm was a tobacco farm for its first three generations. 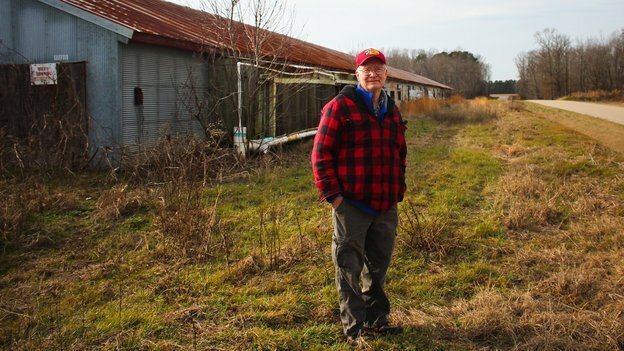 When competition and instability put pressure on tobacco farmers in the 1980s and 1990s, Russell Vollmer’s father bravely decided to go in a different direction and pivoted from conventional to organic farming. His father was one of the first producers in the Triangle to launch a CSA. Selling direct to consumers rather than through wholesalers helped the Vollmers build strong bonds with their customers. Today, Russ and his fiancé Vanessa Weathers run the farm and carry on his father and grandfather’s vision of providing a fun and unique farm experience for visitors. Observing his father’s courage when shifting from tobacco to organic farming gave Russ the confidence to embark on the transition they are currently experiencing on the farm. As a mid-sized fruit and vegetable farm, Vollmer Farm found it difficult to compete in the food market as fixed costs are applied across the acreage or crops being grown. 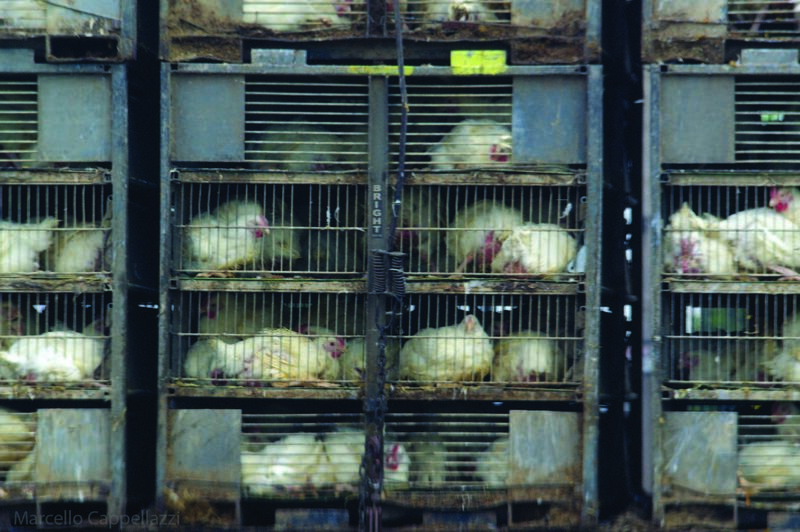 Just 10 years ago, if a consumer wanted organic produce, free-range chicken, or cage-free eggs, they would likely have to find and buy from a farmer directly. Now, these products are readily available in most grocery stores at a much lower price to the consumer than it costs the farmer to produce. Additionally, without a solid crop insurance program for fruit and vegetable farmers to fall back on, as is the case for commodity crops, the Vollmers faced risk management issues. Like his father, Russ realized the farm needed to adapt in order to avoid being squeezed out of the food market. Russ and Vanessa decided their farm needed to become fully integrated – to grow, prepare, and serve food on the farm. Vanessa grew up in a restaurant family, and like Russ’s passion for growing food, Vanessa is passionate about taking food to the next level in a restaurant. 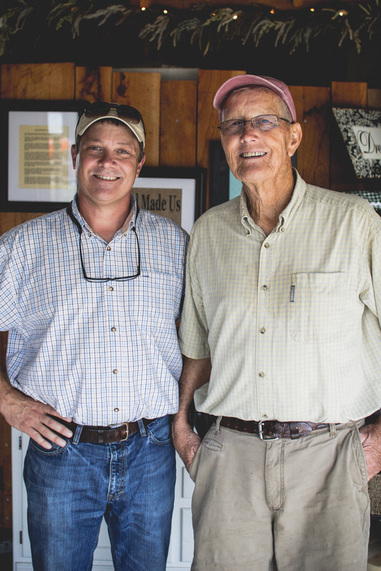 Their combination of farming and restaurant experience makes them a dynamic duo and led to their new vision for Vollmer Farm. The Vollmers had become involved with and donated excess produce to a local soup kitchen. When they learned the soup kitchen was only able to serve the hungry in the community one day a week and lacked dry and cold storage for donations, the Vollmers formed a nonprofit, Food is Love, and are now fundraising to open an on-farm restaurant – Rustic Roots. With a #PayItForward mission, the Vollmers plan to serve lunches at Rustic Roots to community members experiencing food insecurity and also share their commercial kitchen, warehouse, and cold storage spaces with community groups. Paying customers will have the opportunity to support this mission by adding on to their bill to #PayItForward. Learn more about Rustic Roots here. Adding a restaurant to the farm not only will allow the Vollmers to help their community, it will also provide risk management and an outlet to use their produce in different ways. Although they had to exit organic strawberry production this year after 18 years, with a certified kitchen, they plan to return to organic strawberry production as they will be able to process the fruit (even if it’s bruised or damaged) into products for the restaurant. 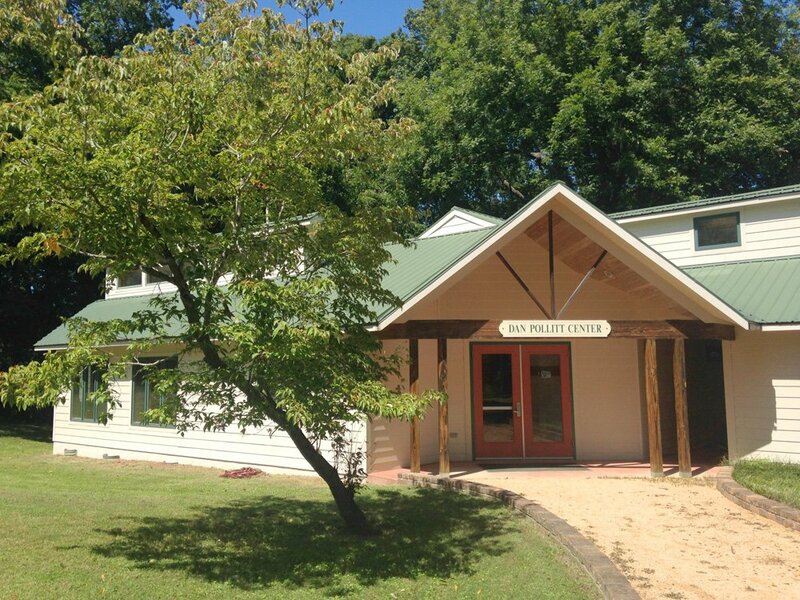 In addition to fruit and vegetable production, Vollmer Farm is passionate about agritourism and frequently hosts school groups and other community members on the farm. This is another way Vollmer Farm has adapted in order to continue farming. Russ says, “My passion is growing food for people to eat, to know where it comes from, to know me and to know our struggle and to be with us in our ups and downs.” They offer farm stays, hay rides, a unique pumpkin finding experience, and events on the “Back Forty,” including their annual Blueberry Music Festival. This Festival is another way visitors can support Food is Love and help them serve more meals to community members in need. By creating a unique and unforgettable experience for his customers, it became less about the pumpkin and more about the experience of finding the pumpkin. And as Russ says, “You don’t pick the pumpkin, the pumpkin picks you.” Vollmer Farm is an experience with which no big box store can compete. This effectively increases the value of the pumpkin in consumers’ minds and helps Vollmer Farm continually exceed customer expectations. Russ believes that farmer and advocacy voices are stronger together, and his family has partnered with RAFI for at least 25 years, including working on crop insurance reform and sustainable agriculture projects. They have also received grants from RAFI for their school tour program. Vollmer Farm was also featured on a panel at Farm Aid a few years ago. 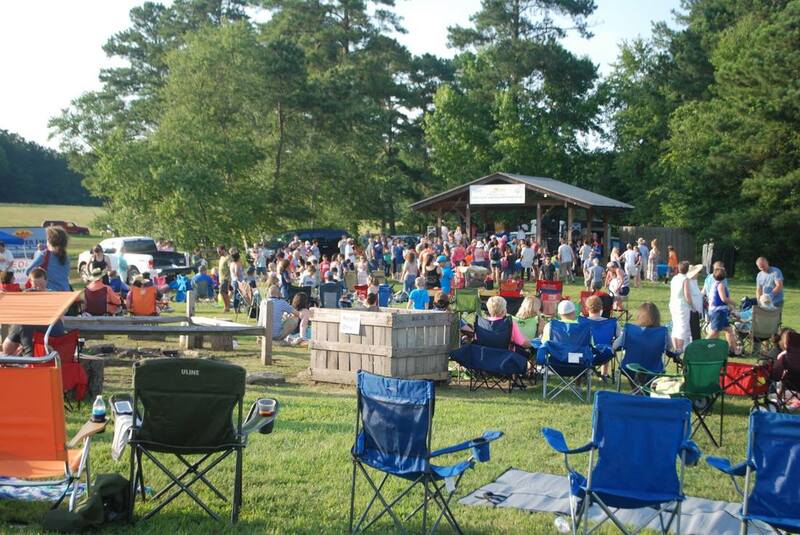 Want to win tickets to Vollmer Farm’s 4th Annual Blueberry Music Festival? Russ has generously offered to provide 10 tickets to their 4th Annual Blueberry Music Festival to RAFI friends and supporters in the United States. The Festival will take place on Saturday, June 23, 2018, from 2-10pm. In addition to celebrating Russ’s birthday, there will be live music from local bands, food trucks, a blueberry pie-eating contest, cooking demonstrations, and more. Check out this video to learn more. Proceeds from the Festival will support their #PayItForward mission through Rustic Roots and also help the farm to buy plants and seeds for future crops. Be sure to use your real name when leaving a comment so we can match it up with your entry if you win. And if you leave a comment, be sure to click on the Rafflecopter entry stating you left a comment because the winner is chosen randomly by Rafflecopter. You’ll have 3 days to respond if you win, or we will draw another winner. Make sure to check back on the website when we announce the winner and check your spam folder so you won’t miss our email. Please note that no transportation expenses will be provided for winners to travel to the Festival, and tickets are not redeemable for cash and cannot be resold or exchanged. If you’d like to purchase tickets, click here. At RAFI, we are proud our work is shaped by farmer leaders who have come together to make change happen. We strive to ensure that farm families and rural communities thrive, and we can only continue to do this working side by side with farmers and farmer leaders like Russell Vollmer. Our staff recently hosted a webinar covering how farmers’ markets can accept SNAP/EBT as payment. Missed it? –Watch this video! Any farmers’ market manager, vendor, board member, or partner that has considered adding SNAP/EBT as an accepted payment is strongly encouraged to check it out. Previous post Bayer-Monsanto Merger: A Recipe for Food Insecurity, Uprooting Farmers.